New Ford Mustang Apparel ! Ford Mustang Apparel. You asked for it and here it is! The next best thing to driving a Ford Mustang is showing your support by wearing some good looking, nice quality Ford Mustang clothing and accessories. P.S. They Make great gifts too ! Complete that look and keep the sun out of your eyes with these great looking Mustang racing hats and ball caps. They're high quality and just the thing for the ultimate Mustang enthusiast. Its fully adjustable with a dependable Velcro closure. Look as great as your pony car! 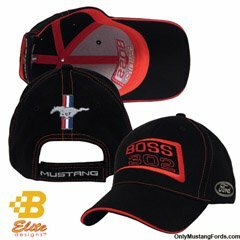 Try on this classic classic Ford Mustang racing hat . Its fully adjustable, and crafted in black with white trim and proudly displays the iconic Ford Mustang logo. If your favorite Mustang is a 1969 Boss 302 fastback, you're gonna love this very cool diamond cut and embossed Ford Mustang Belt Buckle . Sure to become a collector's item! 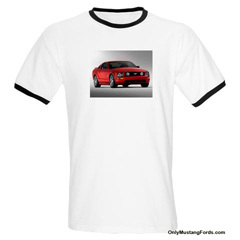 Comfortable and stylish Ford Mustang short sleeved tee. 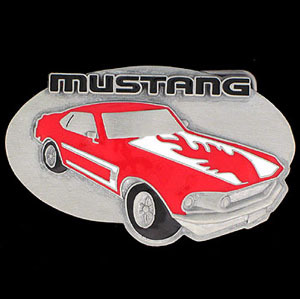 If you'd like a classic Mustang t-shirt, for that special someone, you'll love this awesome Ford Mustang Emblem T-Shirt with the classic Licensed pony logo and Mustang script. Who says you can't find some great Mustang apparel online ? Check out this new retro look Mens Ford Mustang Shirt tee. Look closely. That's the new Mustang for current pony car enthusiasts. It's made of heavy 5.5 oz. 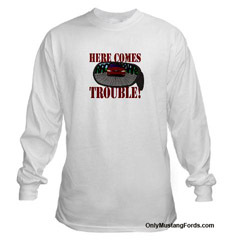 pre-shrunk 100% cotton and is available in sizes from small, right up to 2XL in a range of colors. If you're more new skool than old skool, check out this foxbody Mustang Long Sleeve Tee . Just the thing for those cooler days. 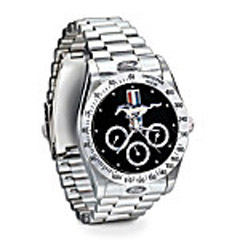 Here's a beautiful and high quality licensed Mustang Chronograph Watch . Crafted in stainless steel, this sleek timepiece adds 3 tachometer style sub-dials. ** After clicking the link, lease paste "Mustang Watch" in the search box to go direct to this great time piece. 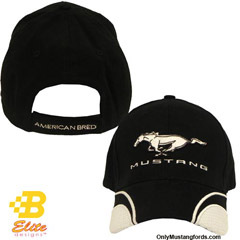 I'm always looking for cool Mustang clothing, watches, hats and other Ford Mustang apparel. And there's more on the way. Just in time for the holidays!